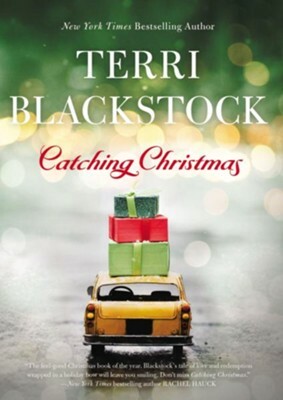 I love Terri Blackstock and all of the suspense books that she writes. I was excited to read her special Christmas book even though it's not a suspense book. Catching Christmas tells the story of a cab driver who is haunted by his past, a lawyer focused on keeping her job, and the little old lady who brings them together. Those who love a good Christmas book will like this one. Those who like romances with heart will also enjoy this book. I like the male character in this book. He is interesting and funny. This book kept my attention the whole way through and I liked the short chapters. I like the look and feel of this book. I wasn't a huge fan of the younger female main character. She just wasn't the kind of person I enjoy reading about. Overall, I liked this book and think it is a good one for Christmas time. I give Catching Christmas 4 out of 5 stars.